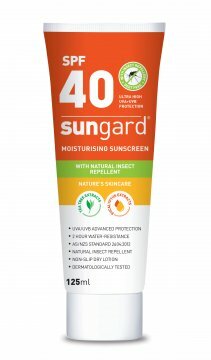 Insect repellent protects against mosquitoes and helps repel sandflies and other annoying and biting disease-carrying insects. New Zealand has the world's highest incidence of melanoma cancer. Workplace skin protection is vital. Safe for use by roofers! 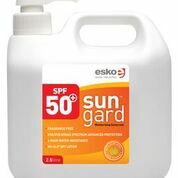 Sunscreens containing metal oxides, such as titanium dioxide and zinc oxide, can accelerate degradation of surfaces including auto finishes and pre- and post-painted roofing surfaces. A 2008 Australian test of ten sunscreens showed products containing titanium dioxide and zinc oxide nanoparticles consistently degraded samples of pre-painted roofing surface. In the worst case, the roofing lost over 85% of its gloss in just six weeks. New Zealand Steel now excludes from its warranties damage to Coloursteel® roofing caused by contact with sunscreen, and additionally recommends that roofers use cut resistant gloves to improve safety and avoid sunscreen contact. 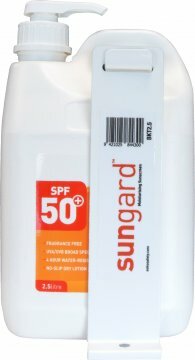 SunGard’s formulation gives exceptional protection but does not contain nanoparticles, titanium dioxide or zinc oxide. New Zealand has the world's highest incidence of melanoma cancer. Workplace skin protection is vital. Click here to download report. New Zealand has the world's highest incidence of melanoma cancer.Workplace skin protection is vital. New Zealnd has the world's highest incidence of melanoma cancer. Workplace skin protection is vital. Click here to download report.